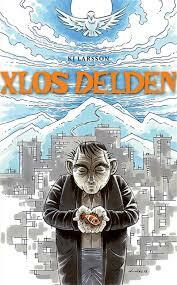 K. J. Larsson: Xlos Delden. A very pleasant surprise; a new Swedish sf novel with a beautiful style and an absurd plot. Souls of aliens occupy human bodies which results in an entertaining depiction of human life. A longer review will appear in SF-Forum. 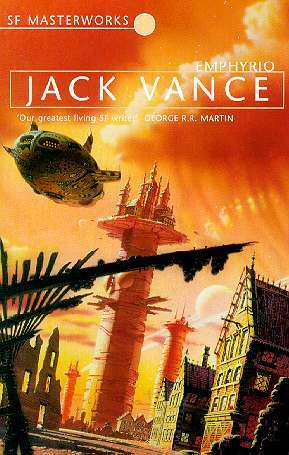 The Book Club book this time was a classic Vance, with an interesting society having an upper class, workers and people living on social security. The worker we meet carves wooden screens and it is forbidden to make any copies of these or of texts – interesting considering the discussions regarding copyright and immaterial properties. 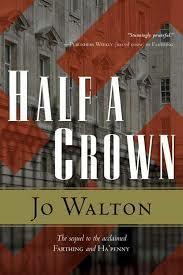 Jo Walton: Half A Crown. The last of the three detective stories set in an England that broke peace with Germany in 1941. Twenty years have passed and England is still anti-Semitic and sends Jews to camps in France. As in the two prior volumes, the chapters alternately describe the detective and a woman, in this case a teenager who is to be presented for the queen, and gets involved in the story in a way that is too unlikely. This is a pity and the entire trilogy gets an unsavoury flavour of adventure story for teenagers. Dana Bell, ed. : Different Dragons. Anthology of stories about dragons, both fantasy and sf. And not all the dragons were real dragons but instead criminals. 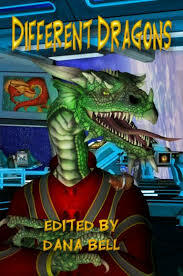 Three stories were memorable: “Dragon’s Hoard” by Peter J. Wacks, although not about a dragon was thrilling enough, “Reintroduction” by Sarah L. Byrne described dragons as a species threatened by extinction, and “Phagan’s Shadow” by M. R. Williamson was a well-written story about a dragon that saved a girl from being killed. 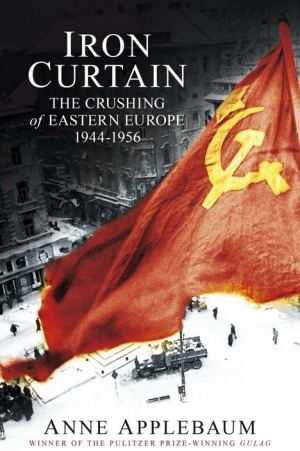 Anne Applebaum: Iron Curtain – The Crushing of Eastern Europe. This book describes in clinical detail and with convincing evidence the horrors in the European countries occupied by the Soviet Union after WWII. Although it concentrates on East Germany, Poland and Hungary, there is a lot of information about other countries as well, with the exception of the Baltic States. Of special interest is the description of how the Soviet communists were welcomed as liberators from the Nazis and then to cleverly cooperate with social democrats only to take over completely in the end.